This Saturday is our last market of the season! Make sure you stock up on all our fresh vegetables, baking and crafts for the winter! 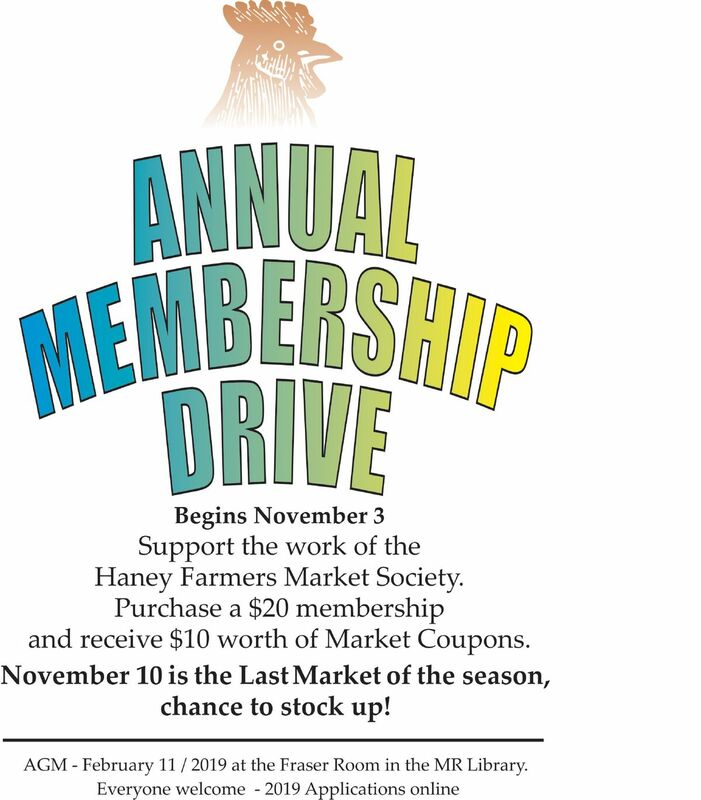 Get a head start on next year with our Membership Drive. For $20, you can get $10 in market coupons to use next year. We are also collecting toys for youth young and old! It's all happening Saturday, November 10 from 9-2 at the Memorial Peace Park.